The vinyl and tile floors in your facility need regular maintenance to continue looking good. Carpet Cleaning Group offers professional vinyl and tile floor cleaning for business settings of all kinds — so your facilities make as strong an impression as you do. Talk to our professionals about vinyl floor cleaning for business facilities, and get the services you need to make your building shine. Clean, well-maintained floors communicate professionalism, make your facility a more inviting place to work and help build trust with clients. When you’re ready to learn more about the best in commercial tile floor cleaning, come to us. Let Us Keep Your Floors Gleaming! Enhanced aesthetics. Clean, shiny floors look better than dingy floors covered in wax buildup and discolorations. Through regular commercial tile floor stripping and waxing, you can bring out the beauty of your facility’s flooring. This makes the location look and feel more inviting. Protected floors. Regular floor stripping, waxing and sealing act as preventative maintenance for your floors. They protect them from damage caused by daily traffic and use. This helps protect your investment. Cost savings. Preventative maintenance saves you the higher costs and headaches of repairing major damage. By investing in proper care for your flooring before it’s damaged, you can avoid the unnecessary costs of fixing or replacing those surfaces later. When it comes to tile and vinyl flooring cleaning for business facilities, Carpet Cleaning Group is the expert in Chicagoland. Contact us anytime you’re looking for expert flooring care. Give us a call at (773) 570-4224. The difference between dull and gleaming floors is all in the maintenance. Proper care can drastically improve the look of your surfaces. Carpet Cleaning Group will beautify and protect your floors using our commercial tile floor stripping and waxing services, ensuring you’ll have bright, long-lasting surfaces. The process begins with mopping the floors to remove surface grime. After drying the floor, we strip away any existing floor wax. Removing the wax essentially takes off the top layer of your floor, along with all scratches and imperfections. Then we apply commercial-grade wax to make your floors sparkle. It’s a detailed process that yields impressive results for your facility. 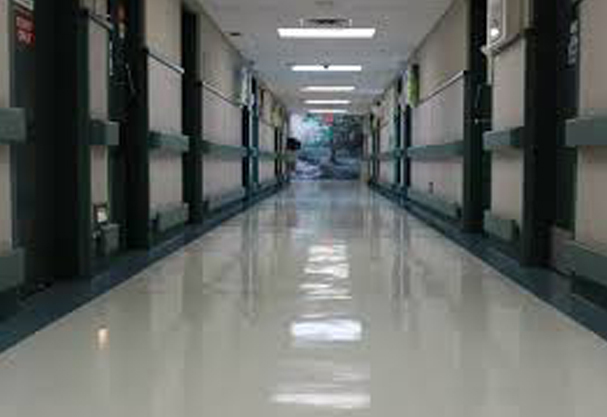 Any facility with tile or vinyl floors needs to properly maintain and care for those surfaces. Whether you’re responsible for a school, retail store, office complex, government building or other facility, Carpet Cleaning Group is here to help. We work with a wide array of businesses and institutions to protect and maintain their floors so they’ll look good, last long and serve clients and employees well. Avoid letting your floors lose their shine and appeal. Contact us today about professional stripping, waxing and sealing. Our experts are ready and waiting to serve you.